We all know that pain of getting a spot the night before a big event, or having a bad hair day on a day that your hair needs to looks REALLY good. I definitely know that feeling, so I went shopping (as per usual) to find some hidden gems in the high street drug stores that can help me with my nightmares. 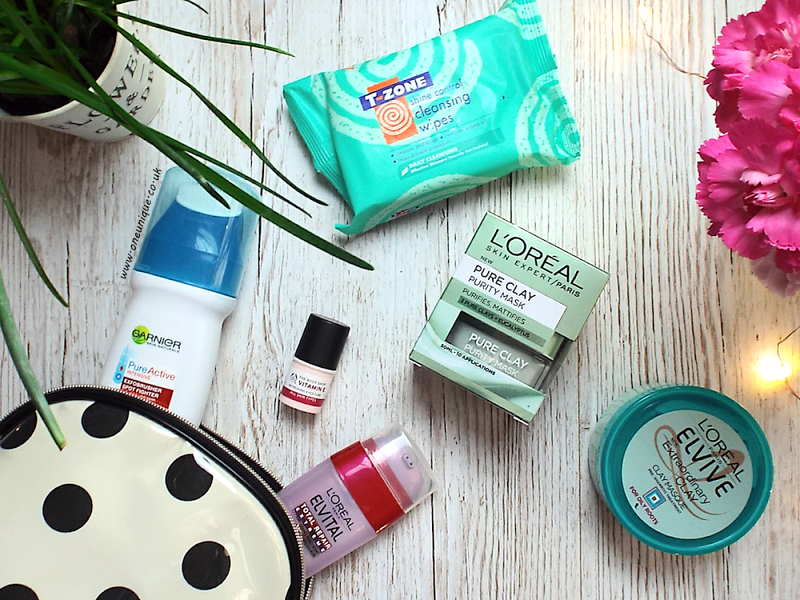 The products that I found I have tried out in the past week and the results that I have seen are promising. Some of these products I have owned for a while, I think that they are that great that they definitely need to be classed as a quick fixer. I had heard great things about the L'Oreal Pure Clay Masks, this was a definite buy for me. There are three Pure Clay Masks, a red one which leaves your skin glowing, a charcoal one which detoxifies your skin and a green one which purifies your skin. Personally, when I compared them in the shop I didn't see much difference as all three promised the exact same thing so I just picked the Purity Mask. I have tried this mask twice in the space of a week which is the recommendation, however one use does the trick if you want clean and soft skin the next day. This mask did wonders to my skin, it purified it like it promised, left it glowing and detoxified it, which as I previously mentioned, left it clean and clear for the next day - it also acted like a primer so my make up looked great the following morning. I love a hack to make my make up routine quicker! 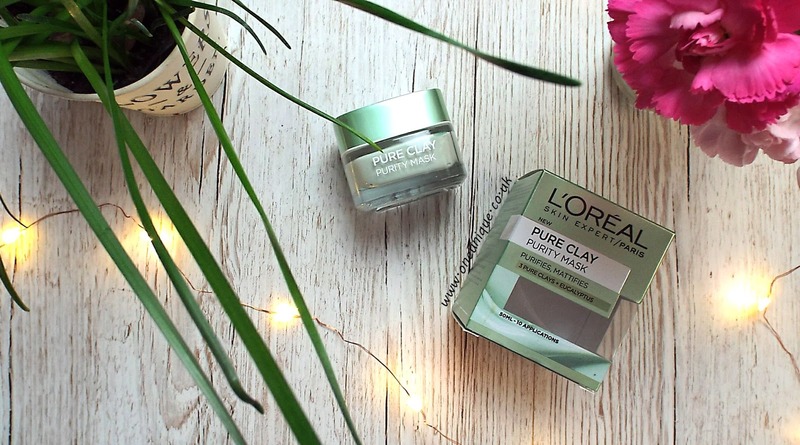 I do have a soft spot a good face mask and this L'Oreal Pure Clay Purity Mask is great! It felt light on my skin and took only five minutes to dry. It honestly didn't feel like I was wearing a clay mask at all - you know when your face gets really tight with a clay mask? Well this mask was nothing like that, you could feel the goodness of it when it was drying. Plus, it was a really easy and clean wash off which is always fab. I purchased this 'Quick Fixer' for £5.99 on an offer from Boots, it is usually £7.99. You can purchase this mask here. This was a tough decision to buy because usually face washes don't work overnight - this one doesn't exactly work overnight for that matter. 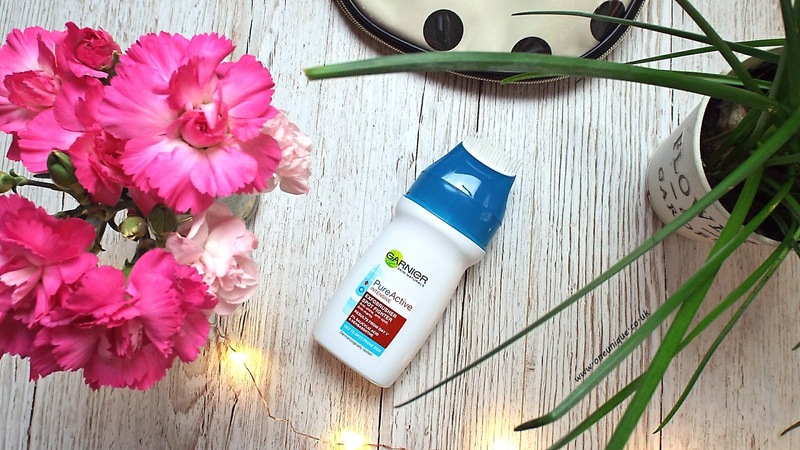 If you want a flawless complexion with this Garnier Pure Active Exfo-Brusher Wash Oil you should be using this a couple of days before the day that you want your fabulous skin. Yes just TWO days. I have used this before my shower twice this week and it has worked miracles, the redness of my skin has reduced and has left it looking great. The Garnier Pure Active Exfo-Brusher Wash Oil aims to help oily skin, reduce blackheads, aid the reduction of shiny skin, remove dead skin and fade marks and also deep cleanses. I have seen a reduction in blackheads and less shiny skin throughout the second day on areas such as my cheeks and forehead. In order to achieve these promises, the applicator has an exfoliating brush with soft bristles and cleansing ridges. Apply to a clean wet face and move the brush around the skin in circular motions whilst squeezing the bottle. I love this application as it is able to reach all of the nooks and crannies of the face ensuring a deep cleanse. I bought this 'Quick Fixer' for £5.29 on offer from Superdrug, normally it will cost you £8.09. You can purchase the Garnier Pure Active Exfo-Brusher Wash Oil here. The pack of wipes to the left are a recent purchase, these T-Zone Shine Control Cleansing Wipes instantly jumped at me in the store as I suffer with a really greasy skin around my nose. The first time I used one of these wipes I used it all over my face which was a mistake because I have a mixed skin type where my eyes and cheeks can be dry most of the time and the rest of my face is quite oily. I suffered with a bit of pain that night that I used the wipes, so the next day I used the wipe around the areas where I find my skin most oily (forehead, nose and chin) my t-zone. I saw a major difference the next morning, my chin and forehead were less shiny, my nose has taken about three days of using these wipes in order to see a difference but it can take a while for products like these to work. I purchased this 'Quick Fixer' for £1.99 at Superdrug. You can buy these T-Zone Shine Control Cleansing Wipes here. The second product I have praised already on here. The Body Shop Vitamin Eye Cube will get to work in a couple of uses, for an overnight flawless complexion I use this eye cube twice in the space of a day. It is a great purchase and it soothes my skin around my eyes as I suffer with sensitive skin around that area. It not only soothes my skin but it makes my eyes look a lot brighter, my dark circles reduce (dramatically with a use over a long period of time) and I look a lot less tired. It makes my life so much easier because I don't have to apply as much concealer in the mornings. You can read my previous review of The Body Shop Vitamin E Eye Cube here. This was a gift for Christmas, however you can purchase this product at The Body Shop for £9.50. Click here to be sent to the website. The next two products will have your hair looking fabulous! I recently saw a review praising the L'Oreal Elvive Extraordinary Clay Masque so I couldn't resist it when I came across it in the store. I am the sort of person that suffers with greasy hair frequently, purely because I run my hands through it too often. I have never tried a hair mask before and this one has definitely persuaded me to try them more often. Promising to reduce oily hair for 72 hours after use this hair mask is made of 3 refined clays. I need more if this, I love it! It works so well with my hair, leaving it light and lifted roots for the whole day. I apply this mask to damp roots and massage it in before my shampoo. I then leave it in for a few minutes and wash it out. 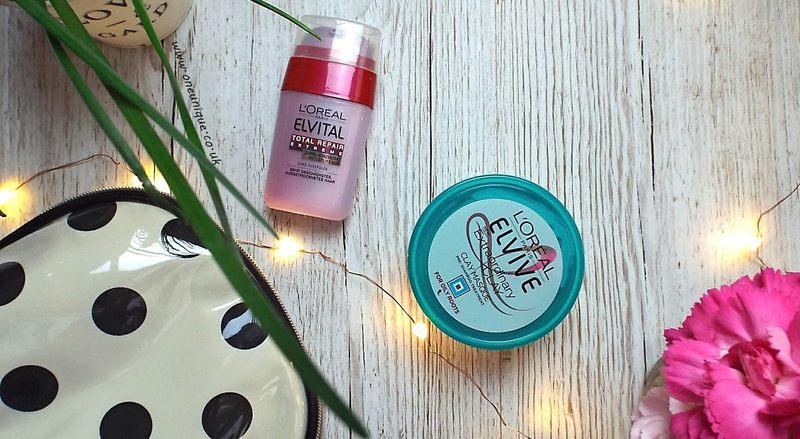 I then finish my hair routine with the Lo'real Elvive Extraordinary Clay Re-Balancing Shampoo and Conditioner. This Clay Masque is the ingredient to beautiful hair! I bought this 'Quick Fixer' from Boots for £4.00, normally is costs £5.99. You can purchase a L'Oreal Elvive Extraordinary Clay Masque here. The final product I use for fabulous hair is the L'Oreal Elvital Total Repair Double Serum. I'm not 100% where I get this from as my mum buys it for me, but I have found a similar L'Oreal product here. There are two serums, a red and clear one, that work to repair and prevent split and damaged ends. This is one of the products that needs to be used a couple of days before in order to achieve perfect hair. I don't trust any product that says that it can repair slip ends as usually a good cut does the trick but this serum totally works. I can see a visible reduction in my split ends as it has repaired over half of them and also prevents as many as it can from appearing. This product also acts like a frizz-ease products. These are my top 'Quick Fixers' that give great results in about 24 hours. 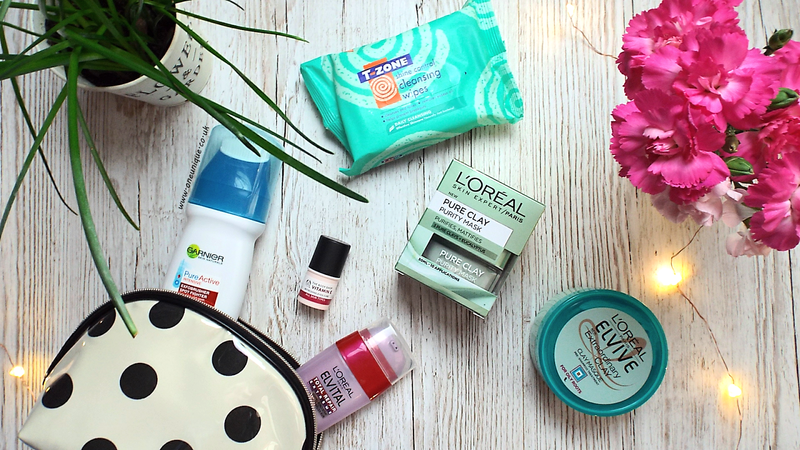 I highly recommend these products to you all, I'm definitely going out to buy more of these soon! God help my bank account this year!